Dr. Shintani received his master’s degree in nutrition at Harvard University and his Medical and Law degrees at the University of Hawaii. He is board certified in Preventive Medicine and serves as Professor and Associate Chair of the Dept of Complementary and Alternative Medicine at the John A. Burns School of Medicine. 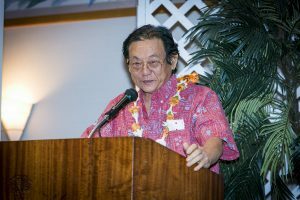 He is also the Chair of the International Holistic Therapy Association, and a Member of the Council of Elders of Traditional Hawaiian Healers. 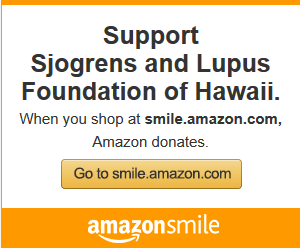 He is best known for his promotion of health in the Hawaiian community and for his whole person health Programs. His Program has won the highest national award from the U.S. Secretary of Health. He has written 15 books including the Eat More, Weigh Less Diet, the Hawaii Diet, and the Peace Diet. He has been featured in Newsweek, on CBS This Morning, ABC National Radio, CNN News and Dateline NBC, and as of 1995 he appears in the Encyclopedia Britannica. For his many contributions to humanity, he has been honored by being formally designated a “Living Treasure of Hawaii”, and by being officially “Knighted” by the Order of St. John of Jerusalem, the oldest Christian healing order in the world. Dr. Shintani helped to educate at the Sjögren’s and Lupus Patient Conference 2017 and the Sjögren’s and Lupus Health and Wellness Conference 2018. He has been teaching classes focused on autoimmune disease and diet and will be sharing his knowledge to help those who need guidance. His many years of experience will be a wonderful addition to the Medical Advisory Council!